With the launch of the OA-8 mission, NanoRacks has now brought over 600 payloads to space, and introduced numerous new customers to the commercial ISS marketplace. Wallops Island, VA, November 12, 2017 – Early this morning, the Orbital ATK CRS-8 (OA-8) launch carried another historic NanoRacks mission to the International Space Station (ISS). With a completely full NanoRacks External Cygnus Deployer (ENRCSD), a virtual reality camera, and educational research, this mission marks over 600 NanoRacks payloads delivered to the ISS since 2009. This mission is enabling a unique virtual reality opportunity with National Geographic’s VUZE camera. Integrated and launched via NanoRacks, VUZE will allow for the recording of the new National Geographic series “One Strange Rock,” in which the astronaut crew will record a series of virtual reality pieces for incorporation into a larger documentary about natural history and the solar system. This is National Geographic’s first time launching with NanoRacks. NanoRacks is also pleased to have launched the “Microbes in Space” educational experiment. Microbes in Space is one of two experiments launching to the ISS via a partnership with NanoRacks, DreamUp, and Xtronaut as a part of a Kickstarter campaign to build on-the-ground kits that will compare science at home and in the classroom to real science in space. The Kickstarter is now live, with kits beginning at just a $25 donation. 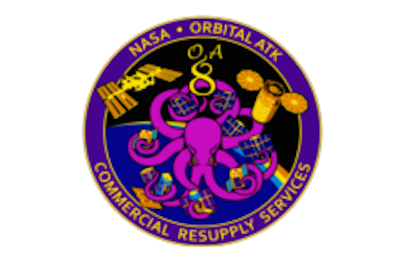 Additionally, OA-8 is the fourth mission in which NanoRacks is providing opportunities for CubeSat deployment from Cygnus after the vehicle departs from the station. The NanoRacks ENRCSD is installed on the exterior of the Cygnus service module with the capability to deploy satellites after Cygnus’ completion of its primary ISS resupply mission. On this ENRCSD mission, NanoRacks has 14 satellites ready to be deployed with customers including the NRO Office of Space Launch, Asgardia, Spire, Tyvak, NASA’s Jet Propulsion Lab (JPL), and the Naval Research Laboratory in Washington, D.C. Included in this External Cygnus manifest are also The Aerospace Corporation’s AeroCube B/C satellites, water-based propulsion CubeSats. The ENRCSD satellites are scheduled to be deployed from the Cygnus vehicle early December at an altitude above the ISS orbit, pending all nominal spacecraft operations. ISARA and Aerocube B/C are funded through NASA’s Small Spacecraft Technology Program (SSTP), which is chartered to develop and mature technologies to enhance and expand the capabilities of small spacecraft with a particular focus on communications, propulsion, pointing, power, and autonomous operations. Also on board the OA-8 mission are two CubeSats that will be deployed via the NanoRacks CubeSat Deployer onboard the ISS. The satellites, EcAMSat and TechEdSat-6 each come from NASA Ames Research Center. EcAMSat is a biological CubeSat that will investigate the effects of microgravity on the antibiotic resistance of E. coli, a bacterial pathogen responsible for urinary tract infections. The EcAMSat flight opportunity is offered by NASA’s CubeSat Launch Initiative (CSLI) as part of the thirteenth installment of the Educational Launch of Nanosatellites (ELaNa) mission, and sponsored by the NASA Launch Services Program (LSP). By the time the OA-8 External Cygnus mission is complete, NanoRacks will have deployed over 200 satellites into low-Earth orbit. NanoRacks would like to thank Orbital ATK and the NASA International Space Station Program for their continued support of NanoRacks operations on the ISS. For continued updates, be sure to follow @NanoRacks on Twitter. For media inquiries, please email Abby Dickes at adickes@nanoracks.com. As of November 2017, over 600 payloads have been launched to the International Space Station via NanoRacks services, and our customer base includes the European Space Agency (ESA) the German Space Agency (DLR,) the American space agency (NASA,) US Government Agencies, Planet Labs, Millennium Space Systems, Space Florida, NCESSE, Virgin Galactic, pharmaceutical drug companies, and organizations in Vietnam, UK, Romania and Israel.